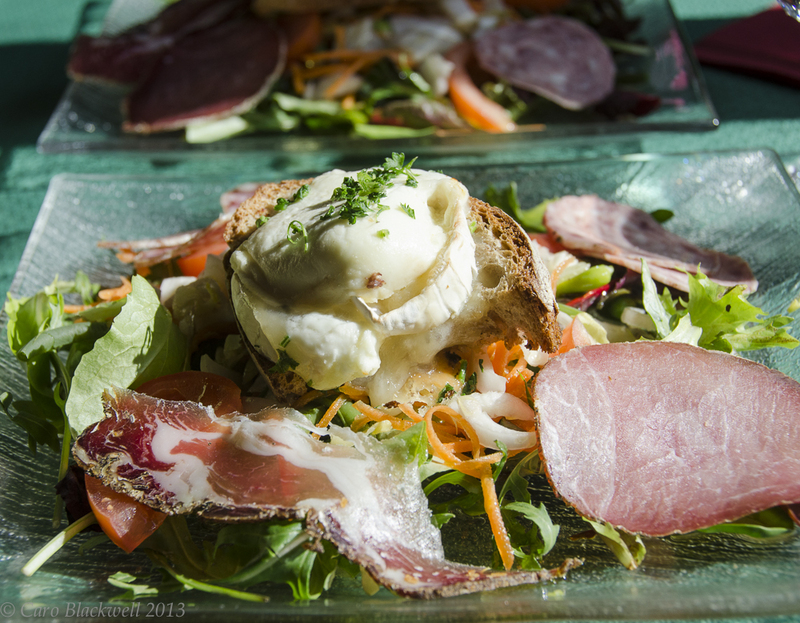 This wonderful salad is to be found on most menus in France and there are as many variations as there are restaurants serving this salad. 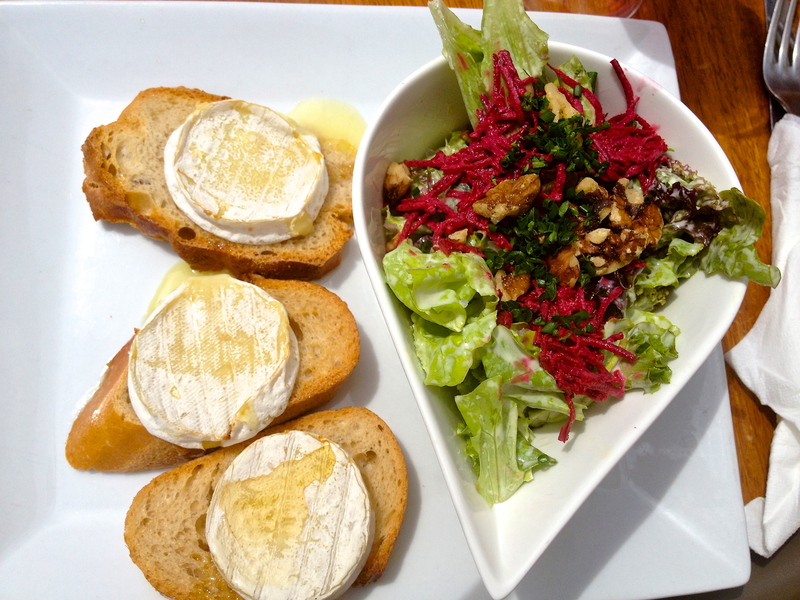 I went on a quest last summer to try as many Salade de chèvre chaud as I could, in order to try and re-create a favourite one. 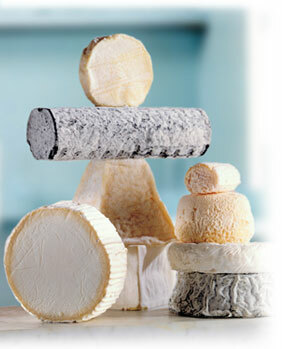 Goats cheese has been made for thousands of years, and was probably one of the earliest made dairy products. In the most simple form, goat cheese is made by allowing raw milk to naturally curdle, and then draining and pressing the curds. Other techniques use an acid (such as vinegar or lemon juice) or rennet to coagulate the milk. Soft goat cheeses are made in kitchens all over the world, with cooks hanging bundles of cheesecloth filled with curds in the warm kitchen for several days to drain and cure. If the cheese is to be aged, it is often brined so it will form a rind, and then stored in a cool cheese cave for several months to cure. This is a very simple recipe and it is all about the flavours and quality of your ingredients. So buy the best goats cheese you can. 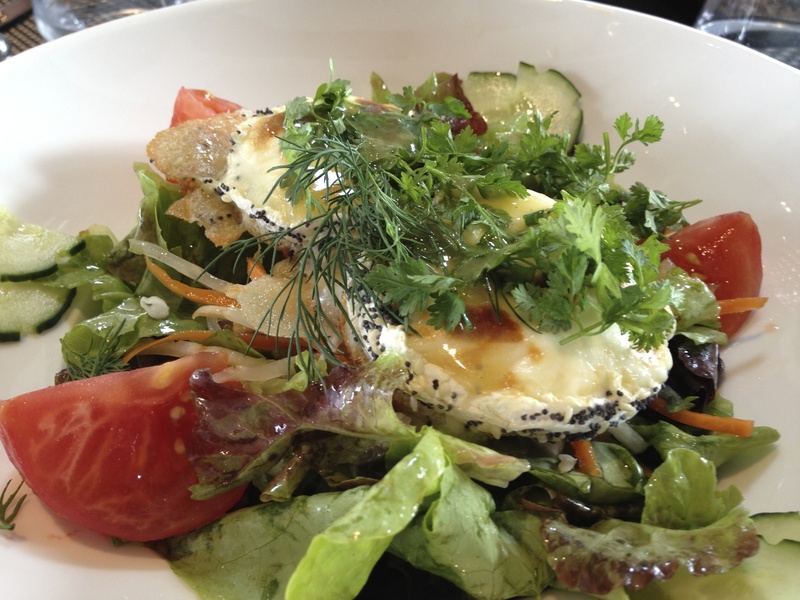 I haven’t put precise ingredients for the salad as this depends on whether it is a main course or a starter. 1. Make the salad dressing first, putting all the ingredients apart from the oil into a jug (or a small food processor) and then slowly whisk in the oil to create an emulsion. 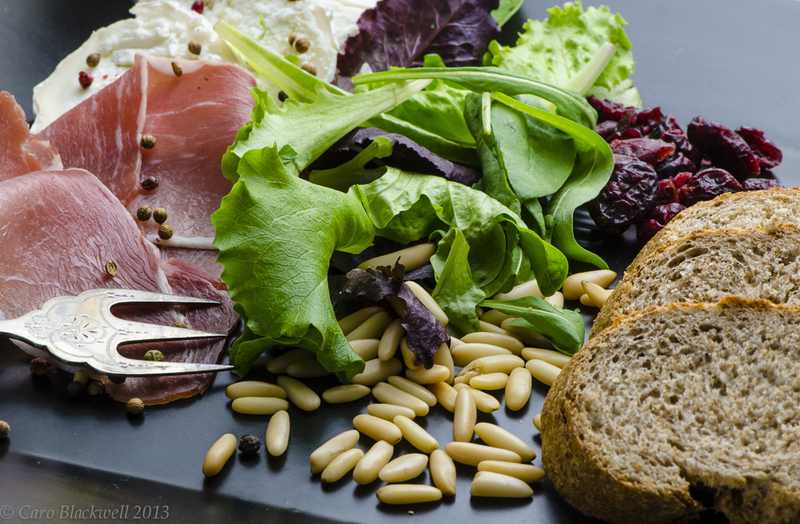 Leave this to one side for the flavours to infuse, whilst you prepare your salad. 2. Toast the pin nuts in a dry hot pan over a medium/high heat – don’t leave them alone as they brown fairly quickly! 3. Next fry the slices of jambon cru again in a dry pan until crisp and leave to drain on some kitchen paper. 4. Slice your baguette and toast on one side only under the grill. 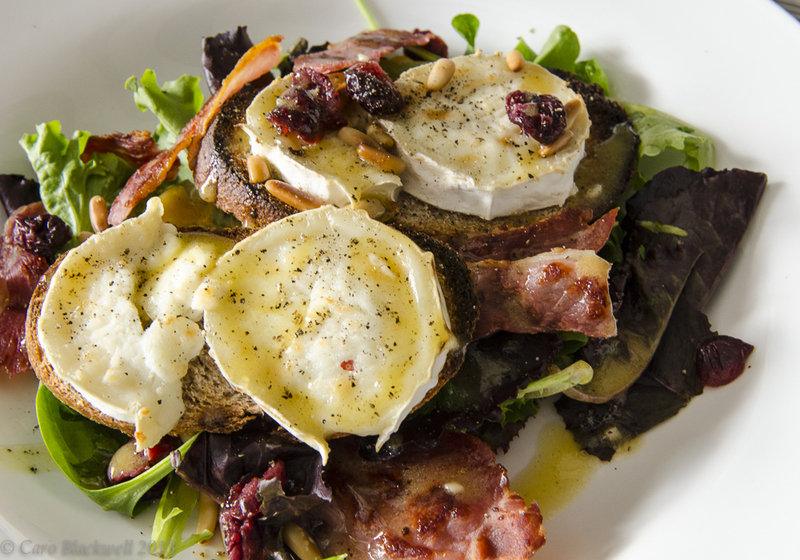 Then place your sliced goats cheese on the un-toasted side and place under the grill to warm, melt and brown a little. 5. 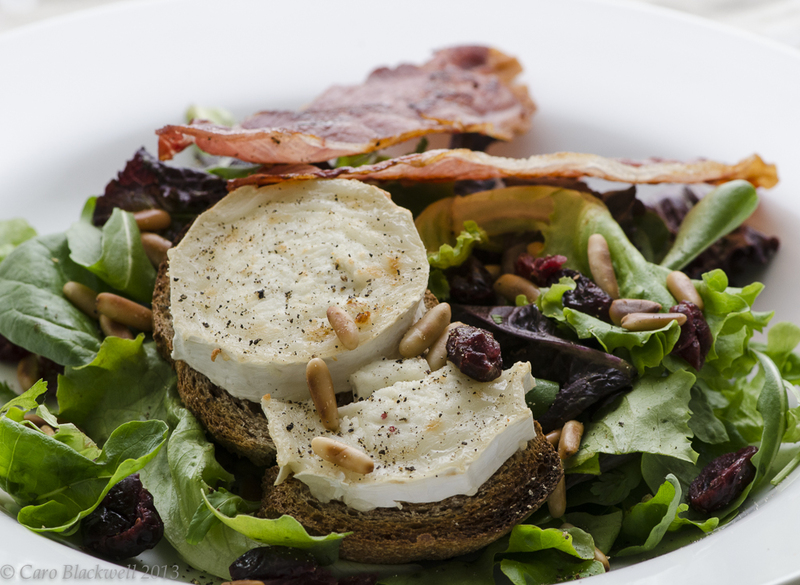 Assemble the salad in large bowls first putting in the washed, mixed lettuce leaves, place your goats cheese toasts on the bed of lettuce, then sprinkle with the cranberries and toasted pine nuts and arrange shards of the crispy jambon cru around the salad. 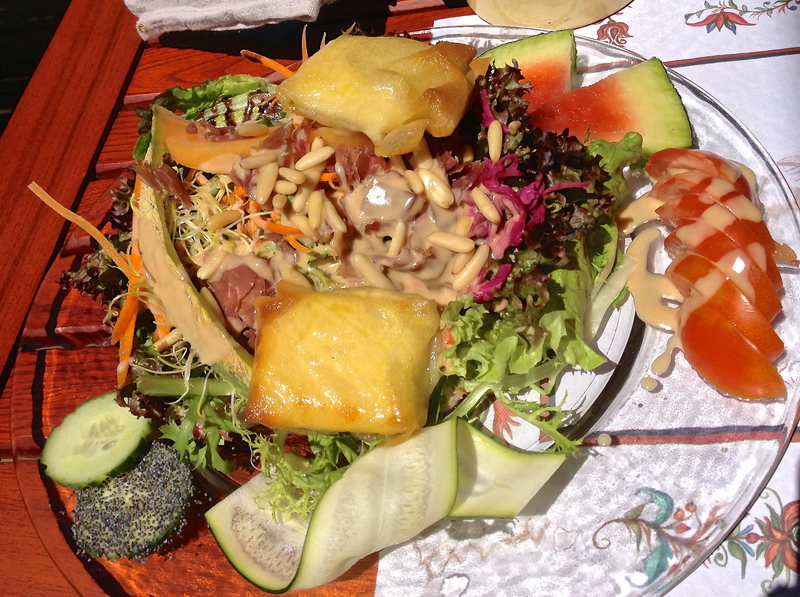 Finally pour the dressing over the salad and enjoy…Bon Appétit!